I wanted this to be the orange that was so happy to become juice, it just couldn't wait. In this piece, I was looking for a way to show movement without motion blurs. I angled the orange, and as the final manipulation, I created a small juice stream on the right, that would appear to be whipping as the orange moved. Technically, I'm aware that the branch and leaves do not have consistent lighting. However, lit the proper way, all drama went out the window, so I'm calling this artistic license. I put a small bit of orange glow on the branch to help with the problem. Now the orange is a light source. Photography of the orange, branch and juice by Eric Gilbert. A personal project. 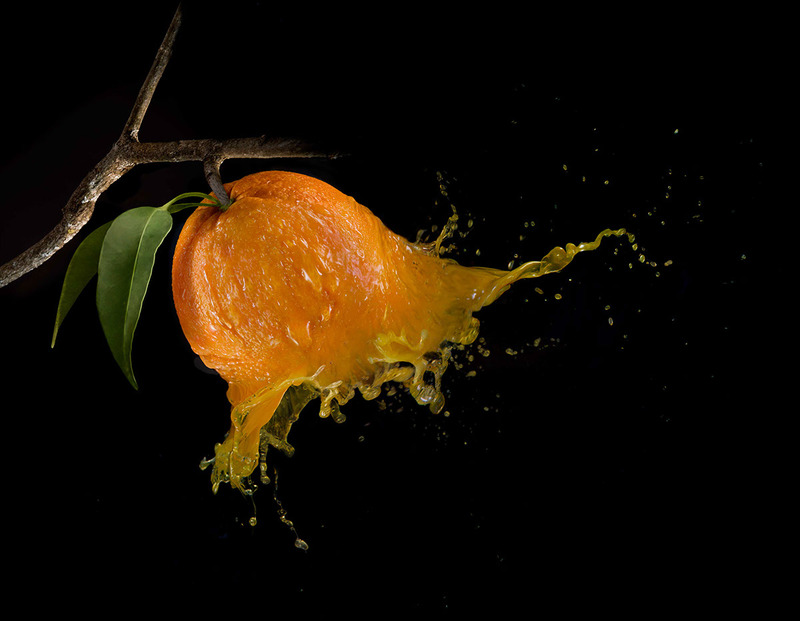 Photography of the orange, branch and juice by Eric Gilbert.